At an excavation site near the intersection of Peel and Sherbrooke streets, archaeologists have discovered more artifacts of a centuries-old village. This excavation first started in 2016, and continues work that began in the 19th century. "It is a major discovery because it's the continuation what [Sir John William] Dawson had found 150 years ago," said archaeologist Roland Tremblay. Dawson was a geologist and professor in Montreal. In 1859, workers accidentally discovered bone fragments and pottery while excavating land near the current site. He investigated the area, which became known as the Dawson site. Since then, archaeologists have dug up different parts of the land in search of other artifacts and clues about the village. This most-recent dig yielded plenty of ancient tools. 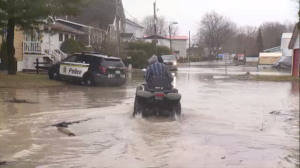 "What will be preserved is pottery and that's what we found, their cooking vessels essentially, but we also found their pipes, because they were made out of ceramics and also some bones," said Tremblay. Among the other findings? A beaver incisor and beluga tooth. "Beluga don't usually come up to Montreal," said Tremblay. Radio-carbon dating indicates that the village likely dates back to around 1375, well before Jacques Cartier's arrival and establishment of New France. It's a new hypothesis that has members of the First Nations community encouraged. "It just actually means to me that the things that I heard as a child, the oral tradition, is there and it's alive and well," said Christine Zachary Deom, a former elected chief of the Mohawk Council of Kahnawake. "The things that have been found there just really highlight that the Mohawks have been a presence all the way through." 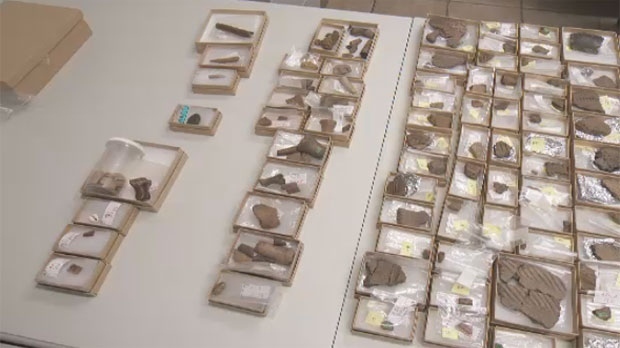 The City of Montreal is providing archaeology training to members of the First Nations community so that they can become involved in future digs. The city is also working to commemorate the village publicly.